People always say “you get what you pay for” that’s not always true. Some companies sell their products at the highest price possible, and cut cost by any means necessarily, sacrificing quality, service and anything else they think you wont notice until after you purchased their product. At Trinity Electronic Labs we believe in honoring God in all we do, that means not only do we provide the hands down best customer service and support, but we also make the highest quality lowest cost Spa / Hot Tub Controller available. 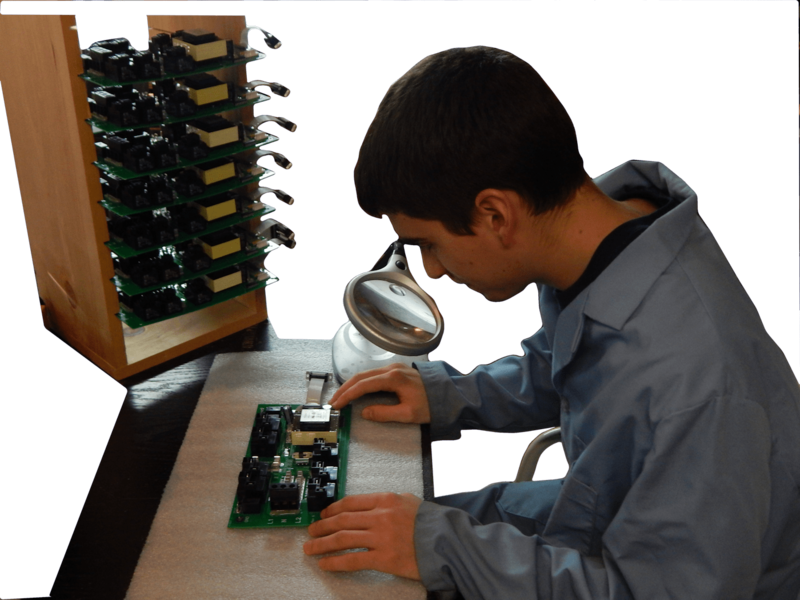 Our Spa Circuit Boards / Hot Tub Circuit Boards are tested before they get assembled. They are then populated with the highest quality name brand independently certified components and inspected. The Spa Circuit Boards / Hot Tub Circuit Boards are wave soldered and then inspected again. Each control board is then cleaned and once again inspected. After installing the connectors and fuses each one of our Spa Circuit Boards / Hot Tub Circuit Boards are inspected again. Each Spa Circuit Boards / Hot Tub Circuit Boards is placed on a simulator and tested again. After passing certain components and connectors are glued to prevent damage from handling by us or by the installer. Each Spa Circuit Boards / Hot Tub Circuit Boards is then sprayed with a protective coating to ensure a long life in a hostile environment. Finally the control boards are inspected under an ultra-violet light and are then ready to be installed in a new spa pack. Our Top Side Controls are made with the finest care and quality products. 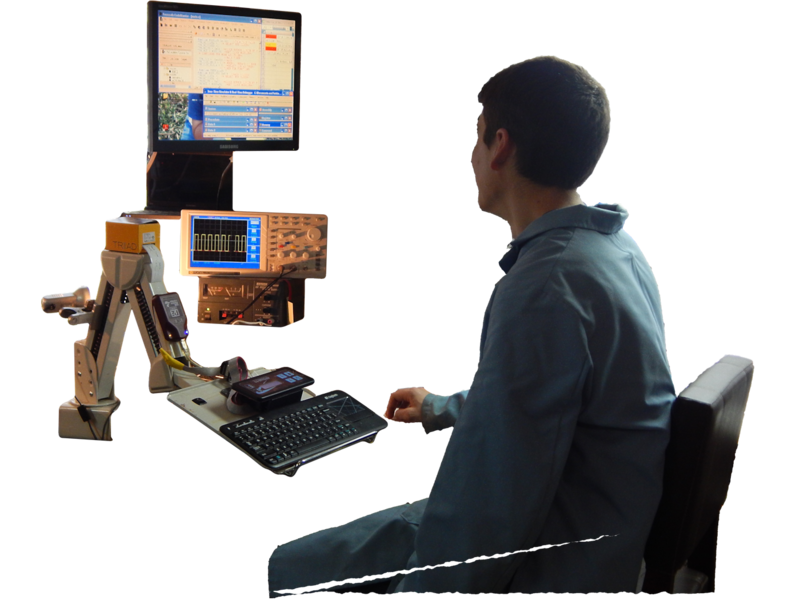 Each board is inspected under a microscope for quality. The boards are then installed into its enclosure, after-which each Top Side Control is programmed and tested twice. After passing both test the internal parts are coated and then the Top Side Control is sealed, both to protect it during it long life in a very hostile environment. All this is done to ensure that when you receive your Hot Tub Controller it works right from the beginning and continues to work for you for years to come. 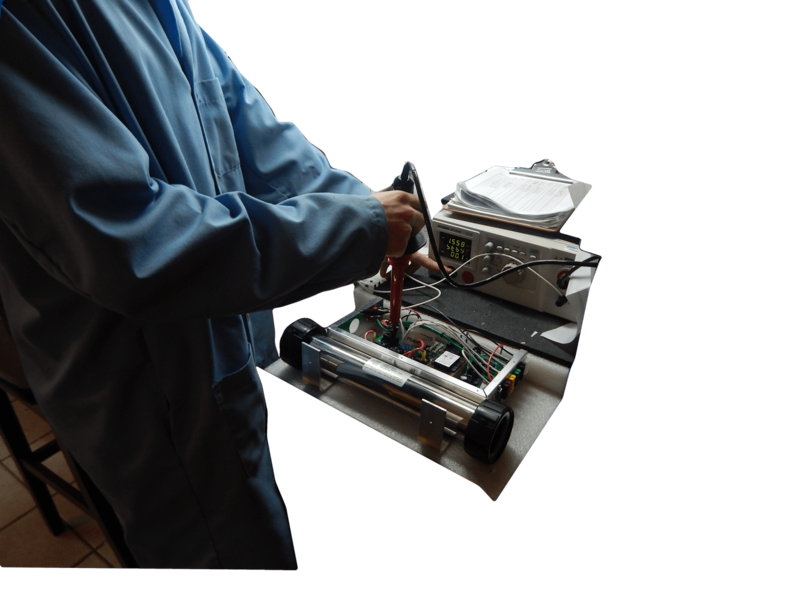 Each Hot Tub Controller is assembled by hand by an experienced technician. After assembling the Control System the technician installs the Spa Pack on to one of two simulators. By connecting the Spa Controller to the simulator we ensure that everything works. Wires are connected to the terminal block from a ground fault protected circuit breaker, so we know for a fact that there are no issues with them when you go to install your Hot Tub Controller. Likewise, a circulation pump, pump 1, pump 2, a blower and a light are connected to the Hot Tub Controller. So that once again we know for a fact that everything works and the connections are good. After the Spa Controller is connected to the electric and all the equipment is connected to it, the plumbing connections are made. 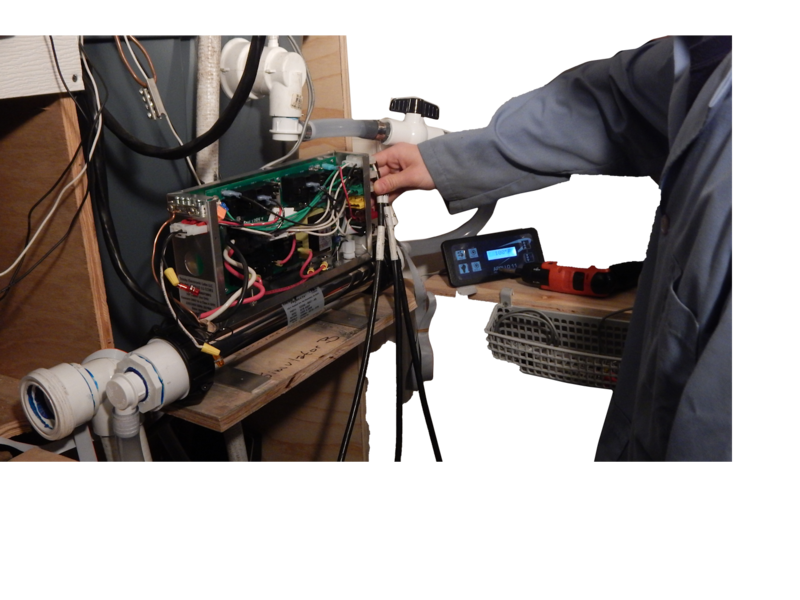 We have two separate simulators one connects the Control System to a standard 2″ plumbing using a 2 speed pump 1, and the other connects the Spa Pack to a circulation pump using our low flow kit with 3/4 ” plumbing. This is done once again so we know for a fact that whether you use a standard 2 speed pump 1 or a circulation pump with our low flow kit the system you have works. Finally now that the electric and the plumbing connections are complete the unit is turned on and ran through the start-up sequence. Since the Hot Tub Controller is connected to a GFIC, we know it does not have any electrical issues. Because it is connected to the plumbing we know it doesn’t leak. Since it has all the possible equipment connected to it we know that no matter what you connect to the Spa Pack IT WORKS! Finally before our Hot Tub Controllers are packed they are put to a final round of testing. 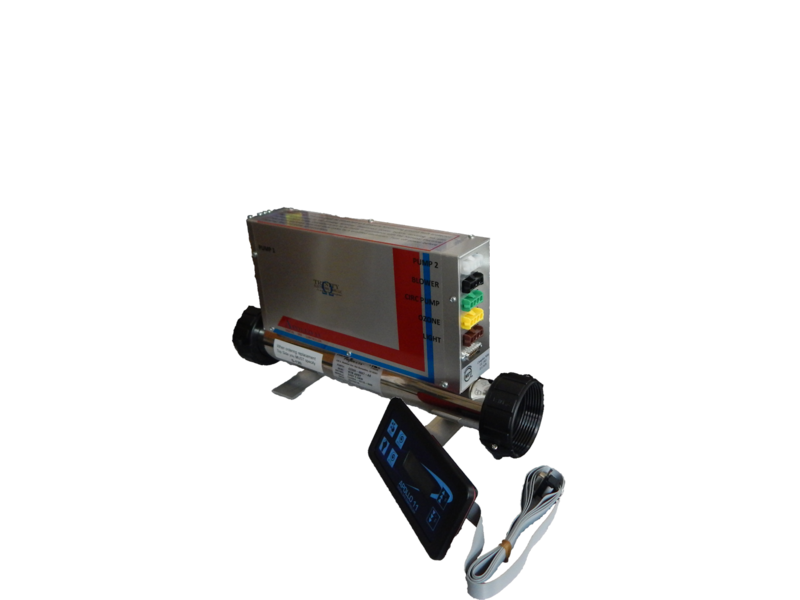 In this test the Spa Controller is subjected to 1500 volts to ensure that the hot tub circuit board can withstand voltages six to twelve times that which it will be connected to. All wire connections are checked again to make sure they are tight, and all screws are checked again to ensure they are secure. The Hot Tub Controller is then cleaned and inspected one final time before packing. One final check of the assembly check list is made before the Spa Pack is sealed in it’s box and ready to ship. We do all of this so we know and you can count on the fact that your new Spa Pack works! If you have trouble with it working when you get it, you can focus your attention to the other equipment or the installation instructions as the reason NOT that the new Spa Pack is defective.